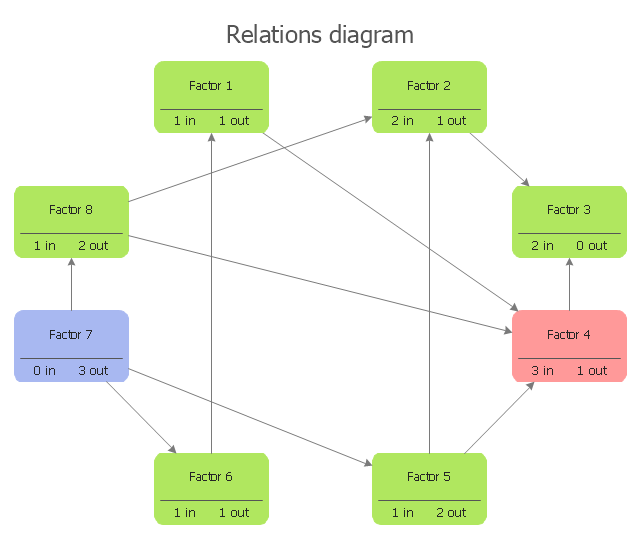 Relation diagram (interrelationship digraph, relationships digram) helps identify what factors are causes and which factors are effects. Factors help establish KPI (Key Performance Indicators) to monitor changes and the effectiveness of corrective actions in resolving a problem. 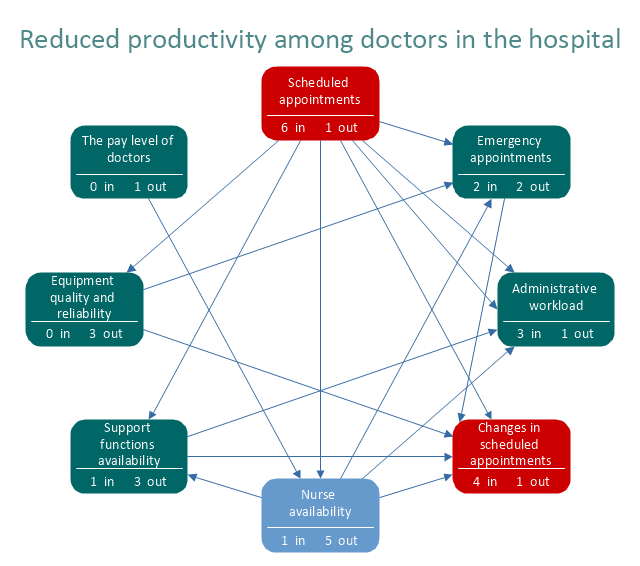 The relations diagram is one of the Seven Management and Planning Tools (7 MP tools, Seven New Quality Tools).